Thank you to everyone who played along with our One Year Anniversary Challenge and a special thank you to all of our guests! So many amazing entries it was quite the decision for the whole design team. Lynn will be choosing this week's winner. Lee Ann's card is absolutely stunning. I absolutely love the touch of pearls and the stunning gold leaves. What an amazing take on both the sketch and inspiration photo. I'm normally a CAS loving girl, but this card simply knocked it out of the park! Grab the Fusion Master badge below to display on your blog! Please grab the Honorable Mention badge for the challenge you won! Our next challenge will begin at 5am PST on Thursday, October 23th! Thanks Michelle for choosing my card this week. 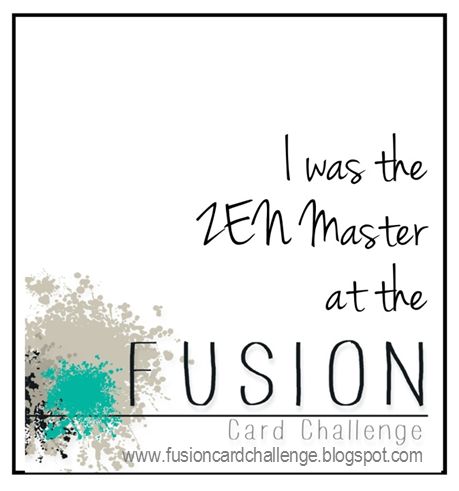 Congratulations to Lee Ann and to all the other Honourable Mentions - great cards! 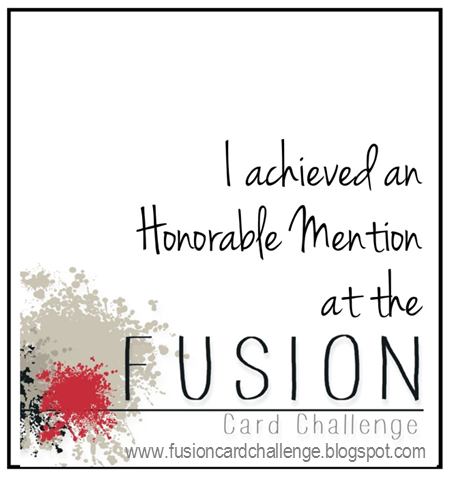 Thanks so much for choosing my card as an honourable mention! It was a great challenge! Thank you Julia for the honorable mention! This was my first ever card challenge. So exciting!! Thank you for the honorable mention! It's truly an honor. Thank you Stephanie for the honorable mention! You made my day! Thank you so much, Lynn for choosing my card and for your sweet words! This was such a great way to start the day! Congrats to all of the ladies for the beautiful entries! 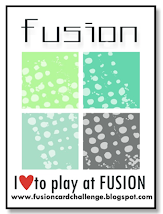 Kimberly, thank you so much for choosing my card for the honorable mention category. IT means so much to me and is an absolute honor. Thank you so much for the recognition! Wow! Thanks for choosing my card, Lyndal! Congrats to all the winners! Lee Ann's card is totally gorgeous and fab HMs too!